“Service Engine » Service Reference” provides easy access to all available services, grouped by engine name and location. A click on the service name, will directly lead to a comprehensive overview of the service. It is possible to run or schedule the service through the action buttons, in which case the subsequent screens will ask for the IN-parameters in order to continue. Once triggered, a result screen will display the result-set, containing the out-parameters along with a general service status. 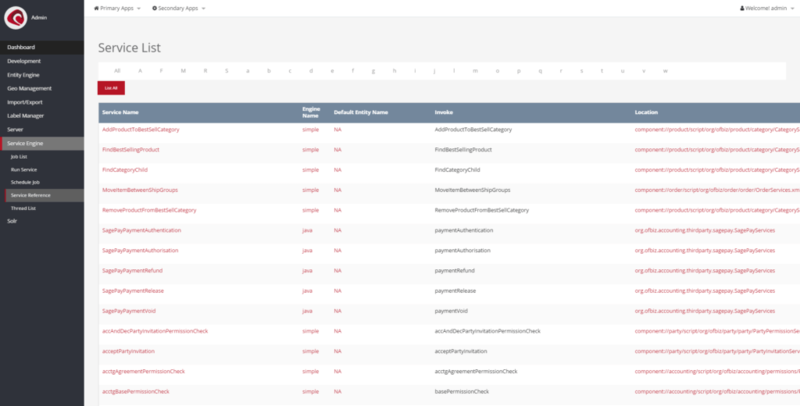 “Entity Engine » Job List” allows you to search for and access detailed information on the state of a running service. Most importantly, this screen can give valuable insights into Pending, Queued or Running services. As long as the services are not in a finished, cancelled, crashed or failed state, each service can be cancelled in order to stop the service from running. One should note, however, that this does not affect CRON-Jobs or services that are scheduled by event. “Service Engine » Run Service” is an interface to run a single service by name, within the service pool specified. 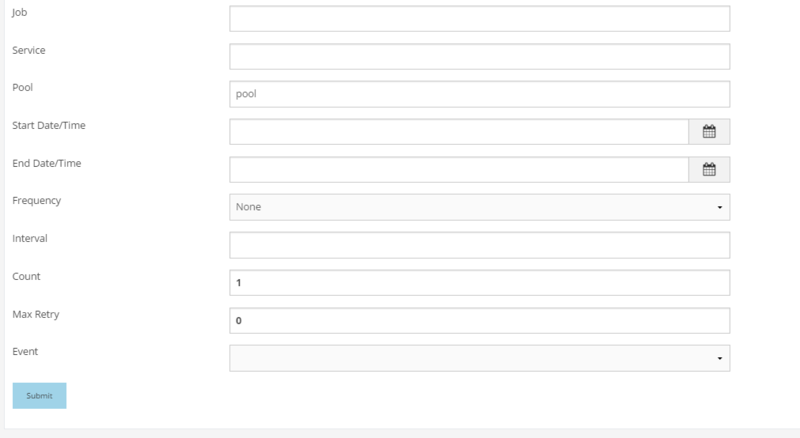 Pools are often used to setup specific machines within a clustered-system environment and can be used to run a single service on a specific machine or a set of machines. Each scheduled service will only run once. The service names are specified within the “Service Reference”. The Service Scheduler (“Service Engine » Schedule Job”), can be used to trigger recurring services in the likes of CronJobs. The service names are specified within the “Service Reference”. The multi-step form, will require a generic definition on when a service will be triggered, before asking for the required service IN-Parameter map. Once added. the service will run automatically within the defined interval. “Service Engine » Thread List” provides information on all threads running inside the current JVM.